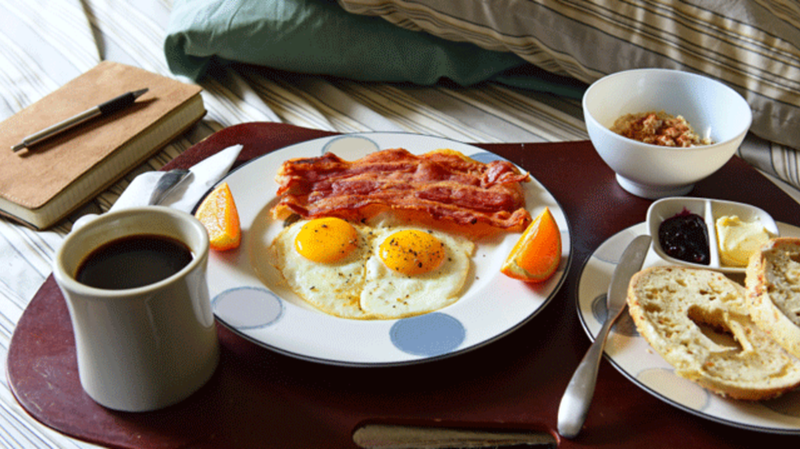 Breakfast Is Gaining Popularity in the U.S. There are plenty of reasons to love breakfast. Besides being an excuse to eat bacon and pastries off the same plate, it provides people with much-needed energy after a long night's rest. Now new research by The NPD Group shows that more Americans are starting to hop on the breakfast bandwagon. As Eater reports, rates of breakfast and morning snack consumption are expected to increase faster than the country's population growth in the next few years. While the U.S. population is estimated to grow by 4 percent between now and 2019, NPD projects that breakfast consumption will grow by 5 percent in that same amount of time. This is part of a larger trend of Americans slowly starting to eat more breakfast over the past two decades. In 1997, the average person in the U.S. was eating 344 breakfasts a year, and in 2015 that number was up to 361. The recent uptick is thanks in part to fast food restaurants. Breakfast time traffic to quick-service establishments increased by 5 percent in the last year alone, and that's on top of a 3 percent increase the year before. In 2014, fast food breakfasts brought in $34.5 billion in sales according to the Los Angeles Times. Even though Americans can't seem to get enough of their breakfast tacos and Egg McMuffins, fast food still accounts for a small portion of the breakfasts we eat: the so-called most important meal of the day is consumed at home 70 percent of the time.